Physicists at the University of Zurich are researching a new class of materials: Higher-order topological insulators. The edges of these crystalline solids conduct electric current without dissipation, while the rest of the crystal remains insulating. This could be useful for applications in semiconductor technology and for building quantum computers. 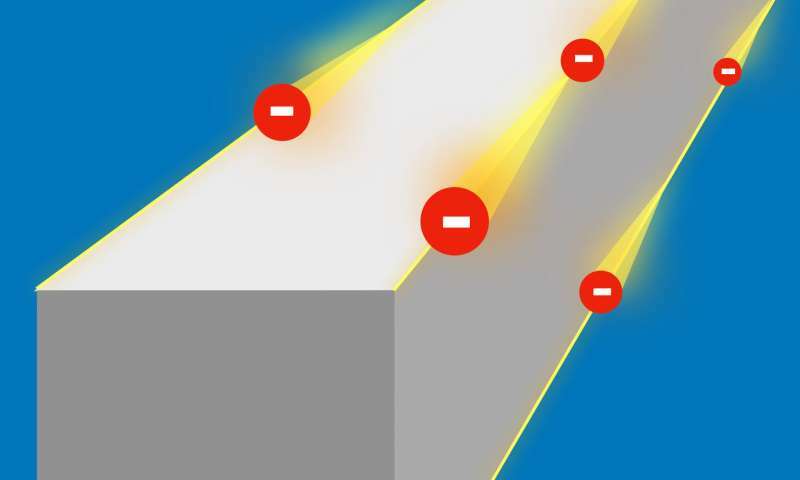 Theoretical physicists at the University of Zurich have now predicted a new class of topological insulators with conducting properties on the edges of crystals rather than on the surface. The research team, made up of scientists from UZH, Princeton University, the Donostia International Physics Center and the Max Planck Institute of Microstructure Physics in Halle, dubbed the new material class "higher-order topological insulators." The extraordinary robustness of the conducting edges makes them particularly interesting: The current of topological electrons cannot be stopped by disorder or impurities. If an imperfection gets in the way of the current, it simply flows around the impurity.